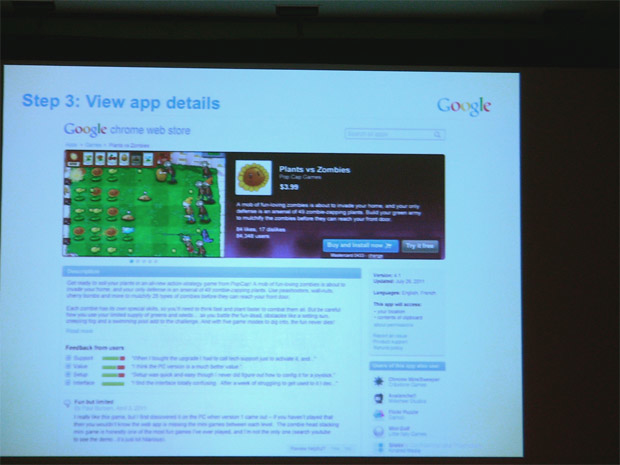 The image above, which was captured by 1Up.com at a recent gaming conference, shows just how similar some portions of Google’s Chrome Web Store are to the iTunes App Store: colorful panels of featured apps at the top, scrolling thumbnails further down, with top ranked apps on the right side of the screen. 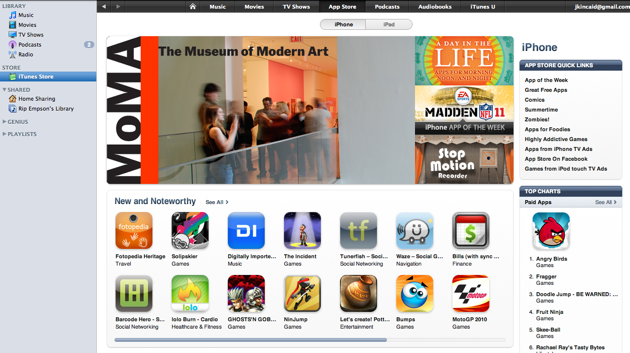 The only major differences are the left nav-bar and garish ‘top rated’ and ‘hot games’ logos in Google’s version. Still, blatant as this may be, it’s probably a wise choice on Google’s part. 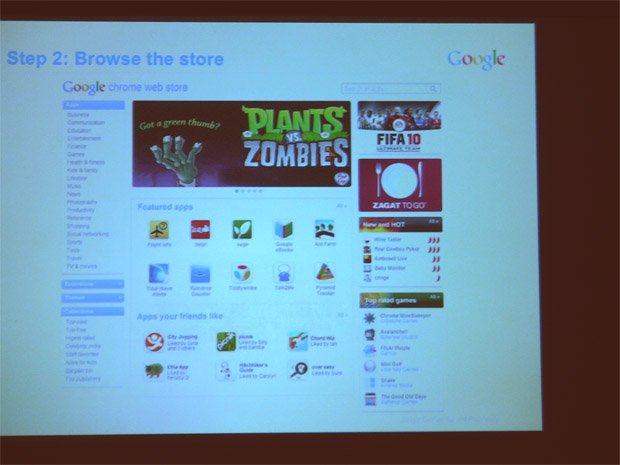 Chrome’s Web Store will only thrive if a lot of people are actually buying apps and games on it, and Google is giving people what they’re familiar with.